The new national defense strategy has returned focus to great power competition, and Army air and missile defense (AMD) capabilities will be critical on these future battlefields, senior leaders said at an AMD Hot Topic Institute of Land Warfare forum hosted by the Association of the U.S. Army. “We face an ever-more lethal and disruptive battlefield, combined across domains and conducted with increasing speed and reach,” said Daniel Klippstein, deputy director for plans and policy, Headquarters Department of the Army. The Army has accepted risk over the last two decades in expectation of continued air dominance, but near-peer adversaries have increased their AMD capabilities and the gap has closed, Klippstein said. Given this focus on great power competition, increases and improvement in both capability and capacity are required across all air and missile defense mission areas, he said. During the most recent risk assessment, air and missile defense was rated as one of the most critical areas to be addressed. 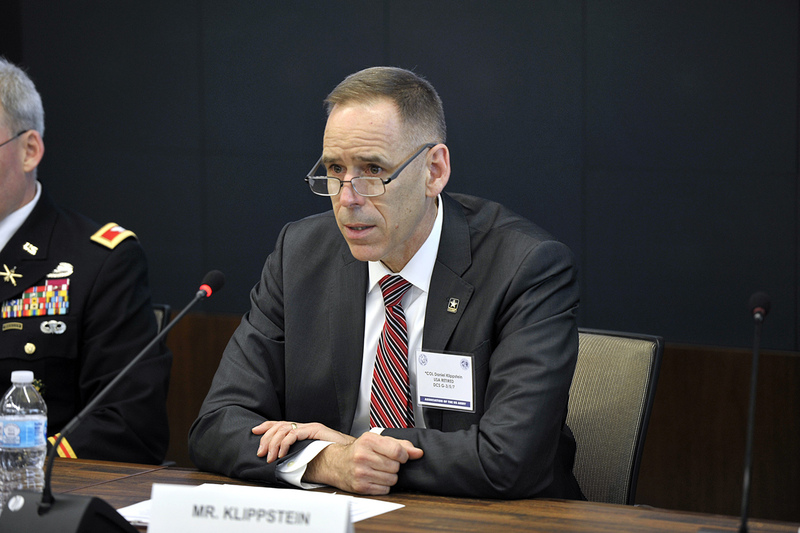 “Our war-gaming has shown that without a strong AMD force, we will be challenged to get to the close fight, and we will place at risk our ability to project power,” Klippstein warned. Additionally, the Army chief of staff and the secretary of the Army list AMD as the number 5 modernization priority, he said, recognizing that if soldiers cannot get to the fight, none of the other modernization priorities will matter. Col. Greg Brady, Fires Division chief, Headquarters, Department of the Army, G-3/5/7, also stressed the importance of AMD capacity. He noted that many sources, including the National Commission on the Future of the Army, have highlighted the shortages in current air and missile defense forces. Targeted, disciplined increases are underway for both personnel and platforms to meet the needs of combatant commanders. 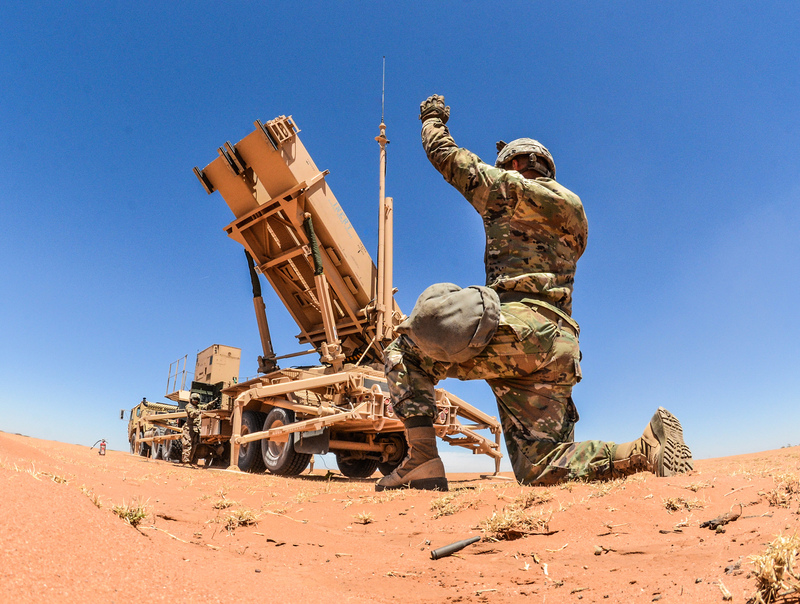 “For the [Patriot surface-to-air missile system], we have now deployed the Dismounted Patriot Information and Coordination Central (DPICC), which is going to give a battery additional capacity and increase the battlespace,” Brady said. To that end, the Army has revived Exercise Roving Sands for the first time in almost 13 years. “This is the premier ground-based air and missile defense exercise in the world,” Brady said. The exercise involves all four military services as well as partners and allies from across the globe. Building and modernizing AMD capacity involves research and development, procurement, and fielding of systems and equipment to soldiers, said Col. Carolyn Birchfield, who serves as Fires Division Chief, Army Staff, G-8, Force Development. “As resources are limited, we need to stay nested with the national defense strategy, understand the threat environment, and leverage new Army doctrine and reform in support of Army modernization priorities,” she said. The challenge lies in finding the balance between immediate “fight tonight” capabilities and emerging technologies. Birchfield said the Army is working multiple paths, including updating operational concepts, acquisition reform, and narrowing modernization efforts based on priorities. Birchfield noted that the Army requires sufficient and predictable funding to meet these requirements and build readiness. “Our AMD forces must be properly equipped to fight the enemy,” she said, which means increasing lethality, range, and survivability. “The Army’s modernization strategy has one focus – making soldiers and units more lethal so they can fight and win our nation’s wars,” she added.